1. What inspired you to start Breaking Ice? A passion for dance and pushing boundaries. Breaking Ice started with just five girls as we started our university careers. We had danced together at school and individually at some of the best dance academies in the UK, and realised that it was something that we didn't want to give up as we moved to study at different institutions. We are very driven and culturally aware individuals and began pushing creative boundaries as we participated in university life. 2. You have a very diverse young team, with a range of talents. Where did you find them? An example of this was the LSE SU Cultural Show, "Timeless", which I co-founded in 2007 and has now become an annual production that showcases the talents and cultures of the LSE student body on a world class platform. In creating the show, we involved various members of the Breaking Ice family and discovered other talented individuals with different backgrounds who were enthusiastic about the concept of a dance troupe. This has helped us to grow - in number and in the range of dance styles that we can offer our clients. 3. Do you seriously think that there is Ice in the workplace in Britain today? Cultural divides in the workplace in Britain have become much narrower in the last few years and with that I believe that we are entering an era of cultural education as people become more inquisitive about the cultures of the people that surround them. It is now time to bring people together and give everyone the opportunity to experience each other's cultures through dance, music, cuisine etc. 4. How can dance help bridge the cultural divide? As Breaking ice, we translate the process of bridging cultural divide into bringing different styles of dance and music together and offering this mix to the public. Not only do we choreograph and perform individual dance pieces, we work to fuse them together by mixing our music creatively. Our aim is to show that different types of music can work together to create inspired art. 5. What is different about your work to the normal corporate training offer or in terms of leadership innovation? Dance is a fun and energetic expression of culture and is usually related to a social or relaxed environment, which helps people enjoy other cultures without being actively aware of issues surrounding cultural barriers. All people either love to dance or watch dance and for that reason our work is very fulfilling. 6. Have you considered doing a bespoke workshop after the dance to discuss the issues it raises? What would it achieve? The clientele that we target does not allow for this type of workshop and we enjoy leaving our audience to come up with their own thoughts about our fusion performance. Whether it is a wedding, corporate event or cultural festival, we aim to entertain the audience with an exciting and vibrant performance tailored specifically to the requirements of the client with respect to dance styles and costume. 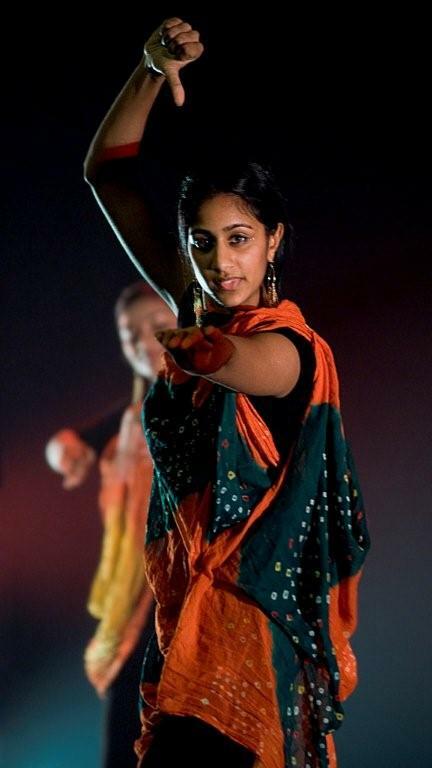 We sometimes do conduct dance workshops and it is through these that we are able to show people how different dance styles and music can work together as a representation of culture in a general sense. To find out more about this dance company and how to book them, visit their website . To watch a video of their performance, click here.